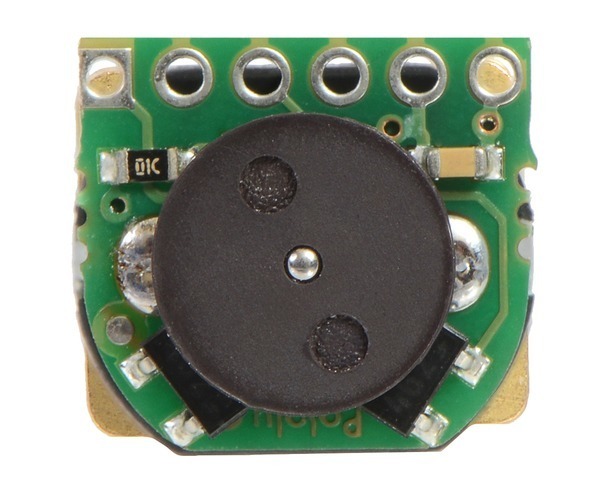 This schematic is also available as a downloadable pdf (125k pdf). 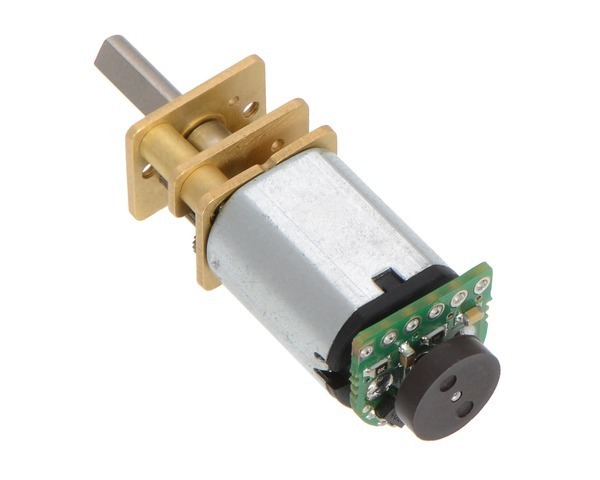 Magnetic Encoder Kit for Micro Metal Gearmotors (old version; not compatible with HPCB micro metal gearmotors). 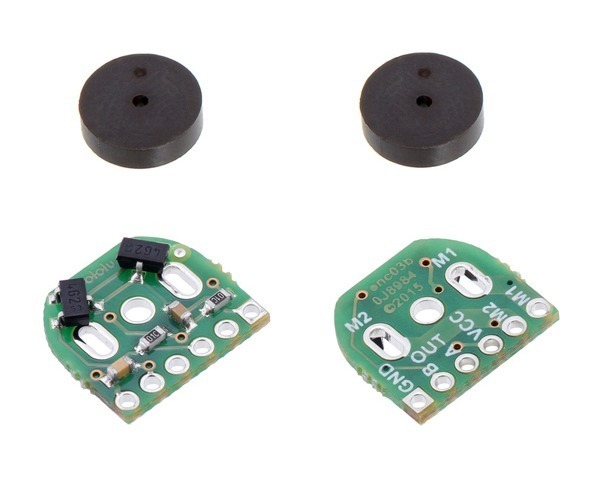 Magnetic Encoder Kit for Micro Metal Gearmotors (HPCB compatible).